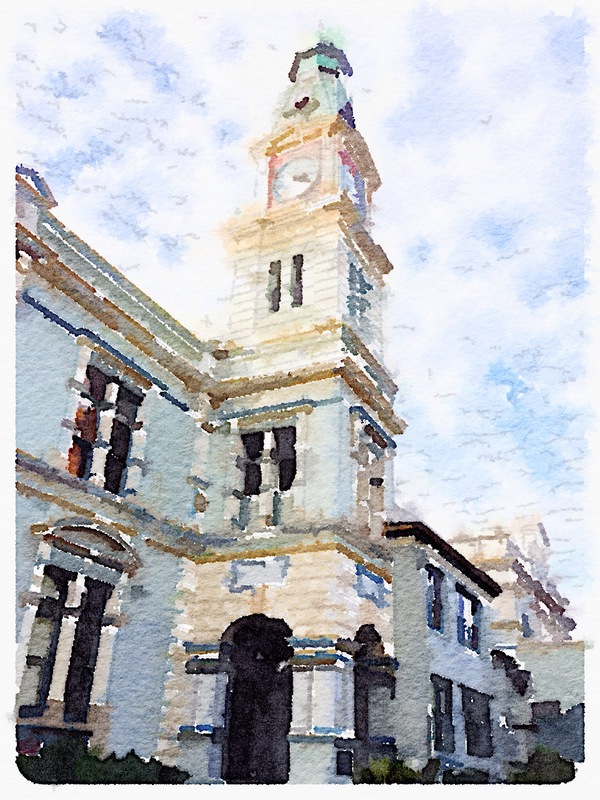 Winter shot of my local town hall with a Waterlogue filter. Leichhardt, Sydney, Australia. Ah my former stomping ground.. 🙂 beautiful. Very nice. I love that app too. Love this, since my favorite medium is water color. That is so amazing and sneaky that we can do that with photos now. Gorgeous! It looks like a watercolor.